5 47 Be the first to write a review! 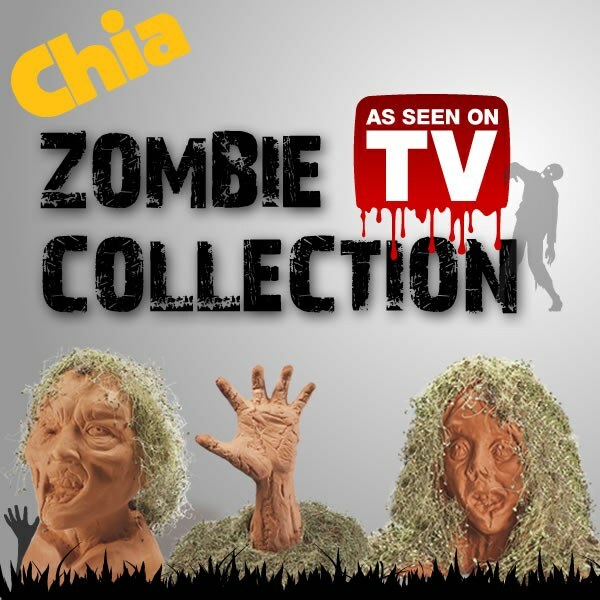 The Chia Pet Zombie collection is ghoulish, scary and frighteningly fun! The Chia Pet Zombie collection is ghoulish, scary and frighteningly fun! Makes a great gift for anyone! Comes with a convenient plastic drip tray and chia seed packets for 3 plantings! Planting and care instructions included. Expect to see a luxurious chia coat in about two weeks. Choose between Lifeless Lisa, the Restless Arm, and Creepy Holden. Or buy all 3!